Just a preview of my new kite. Based on the Sixth Sense, the Supernova is a little smaller and faster with different frame size and ballasts distribution. Hope you like it, this is his first flight. Me too ...except I'm pretty much all caught up my kite-building plans ...so a new model by David @ Kite E.E.sign would be a joy! By the way David ...I really like my new 6th 85%ers! Nice flying and good loking design on the Supernova! What is the difference between the Supernova and the SS? Yes Davide, I also would love to understand the features of the Supernova that make it different from the original SS and the SS85. 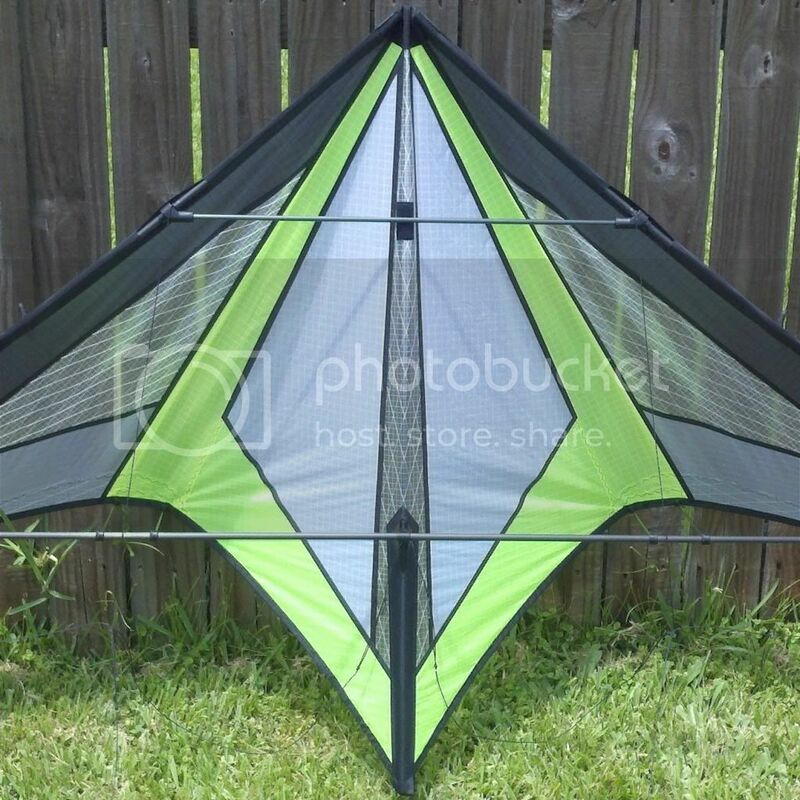 Excited about another build from your studio, especially since this kite uses an extremely similar sail pattern I had seen you create for the SS using Mylar! Looks much more of a heavily weighted, deep turtle kite to me. I actually thought it looked as though Davide was still tuning into the timing required for the Supernova as his flying didn't seem as smooth as in his other videos (particularly the sixth sense ones). YMMV. It is 238 wing spam, in flight it is a little faster and tricks like yoyo and flat rotation are more easyer. It is a prototype yet and when i'll finish it the project will be for free like my other kites. ....in flight it is a little faster and tricks like yoyo and flat rotation are more easyer. It is a prototype yet and when i'll finish it the project will be for free like my other kites. Looking forward to the Supernova Davide! I can't imagine your designing a kite that I will not like flying! Davide, can you confirm the wingspan again please? 95% reduction should make it approximately 228cm rather than 238cm as you stated previously. I would love the Supernova if it is fact 228cm! Thank you!